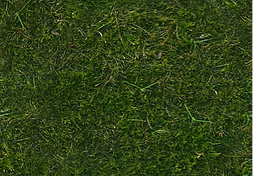 We offer individual treatments for your lawn to ensure it is in great condition all year round. 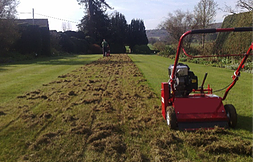 We offer treatments such as fertiliser applications, weed control, aeration, disease control, scarifying and lots more. 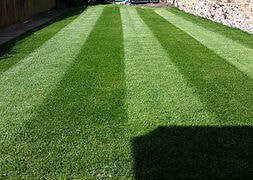 We offer expert advice and can recommend treatments that will be suited to your lawn. We offer organic products that are pet friendly and have excellent benefits for your lawn. This is one of the most important practices to do to your lawn. We recommend doing this at least once a year but the more you do the more benefit you will see. ​Aeration encourages the roots to grow deeper into the soil profile which can help during drought as the roots will find water deep into the soil. Also this relieves compaction which will not only help your lawn to thrive it will also help with the drainage in those periods of wet weather. If you have a heavy clay based soil structure we can remove cores from your lawn and replace with a sand based dressing to help improve your soil structure. We carry out professional spiking for various facilities. These surfaces include football piches, cricket squares, golf greens and bowls greens. Aeration is the most important part of sports pitch maintenance, this helps relieve compaction and enables the roots to travel deeper into the soil. This helps the plant develop and can help out with drainage during the winter months. Our Toro Procore 648 professional spiker is the market leading aerator, it can achieve depths of 6 inches and due to its lightness can be used even when pitches are laying wet. 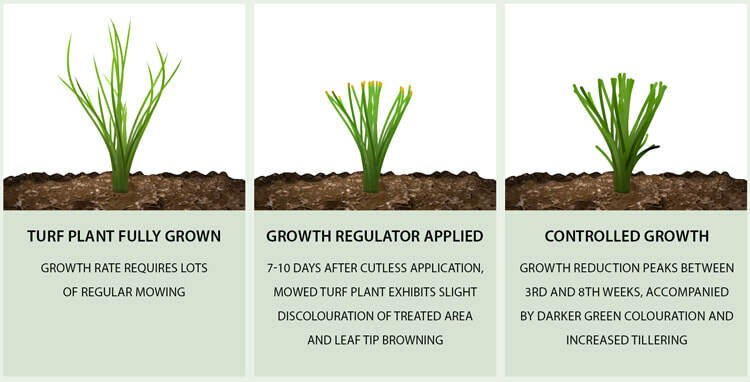 Bio-stimulants applied enhance plant and microbial growth and development. They improve the health and growth in the grass plant. These are especially effective during times of stress and are proven to help prevent disease occurring and we give the plant that extra vigour when needed. These pests can cause serious damage to your lawn. They will attack the roots of your lawn and feed off them causing unsightly brown patches on your lawn. A good sign you may have these in your lawn is if birds are digging up your lawn looking for them. We can provide a chemical treatment to get rid of these, ideally during wet weather so the chemical can wash into the soil structure. Our specialist products are controlled release which means they will last up to 3 months, we will assess your lawn and suggest the best analysis that would work best for your lawn. 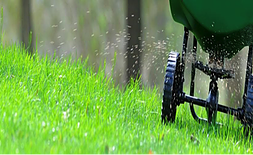 We can provide fertiliser for each season which will keep your lawn looking in great condition. This is carried out to remove organic matter from the base of the plant and also helps remove any unwanted moss and other species of grass that has invaded your lawn. This enables air movement around the base of the plant which encourages a healthier plant. Also this enables water to penetrate through the soil better. It is recommended this is done in spring and if possible early autumn. We suggest this is done with a top dressing and a re-seed with an application of feed to produce an exceptional lawn. This is done for a few reasons, top dressing helps iron out all those humps and bumps in your lawn, this also aids in improving your soil structure. It can also be used to patch up a damaged lawn. We will analyse your soil and suggest what top dressing will be best for you. We can apply sand to help break down a clay based soil or add a more soil based dressing to aid with a lawn that suffers with draught. This process should be carried out after scarifying. We can provide an application of a liquid iron to help in the removal of any wanted moss in late autumn, this burns the moss and will also give your lawn a nice green up! We can provide a protective disease control for fine turf which is applied normally between October and Febuary. It is especially effective if applied before snowfall to prevent disease such as snow mould and fusarium. Disease normally happens during warm damp nights/days during autumn and winter. The removal of a dew from your lawn can help prevent disease from forming. 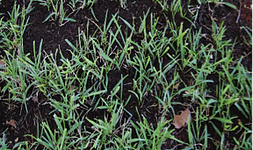 Untreated disease will cause severe damage to your lawn and will kill parts of your lawn off. We can provide an application every 6-8 weeks of a growth regulator throughout the growing season to slow the growth down of your lawn. This will mean you will cut your mowing in half! This also helps thicken out your lawn which helps in the reduction of weeds invading your lawn. This should be applied with a liquid fertiliser to avoid stress on the grass plant. Premiership Lawncare provides a wetting agent that will benefit all lawns. The product is a market leader, developed for use in sports pitches and golf courses and it's also a good solution for residential lawns.